The Summer 2018 Bloomington South Ultimate Hoops championship will be a rematch of last season’s matchup as the Hornets take on the Rebels. In the Spring season, the Hornets avenged their lone regular season loss to claim their second straight title and ruin the Rebels’ undefeated season. The roles will be reversed this time around, but will the results be reversed as well? The Hornets have been an unstoppable force this season behind the strength of their league-leading offense. They top the league in points per game (93.5), field goal percentage (54% FG), and assists per game (21.6). They have a balanced scoring attack led this season by Chris Kampmeyer (22.1 PPG) and Jake Gave (21.0 PPG). Adam Hoven, averaging 19.0 points per game, leads the team in rebounding (11.6 REB) and assists (6.2 AST) and is one of three Hornets shooting over 40% beyond the arc. The Hornets have picked it up in the defensive end as well, limiting the Guerrillas’ offense to 72 points in the semi-final game. In the three previous games before that, they held their opponent below 70 points. The Rebels have possessed the best defensive side this season with an average points against of 54.3 per game. They’ve turned the defensive intensity up a notch in the playoffs as opponents are averaging just 43.5 points in the postseason. They can pour in the points as well, shown in Week 1 of the regular season when they put up 110 points. 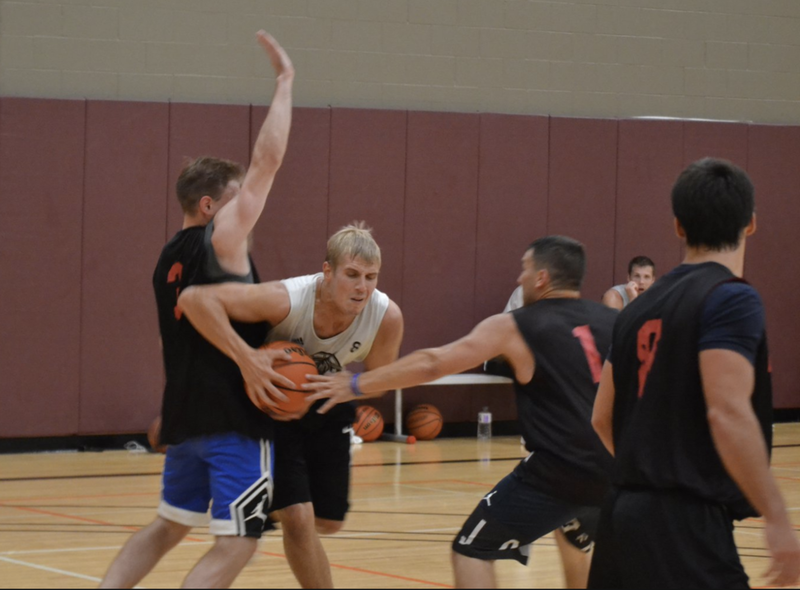 Ryan McGuire (25.0) leads the squad in scoring, but they have a number of scoring options, such as Cody Heinz (19.9 PPG) and Ryan Jansen (15.3 PPG). Paul Ferber (14.5 REB) is one of the top rebounders in the league and his presence on the glass could be a factor in this game. Heinz (3.3 3PM) and Dustin DuPont (3.0 3PM) are the main three-point threats for the Rebels. These two teams have earned their championship appearance with their regular season and postseason efforts. However, only one can be champion. The Hornets will have three-peat on their mind, but thinking too far ahead can get them in trouble against the revenge-seeking Rebels. Who do you have taking the trophy by the end of the night? Rebels or Hornets? Can Kobe's Rebounders Repeat As Champions?